Education is a crucially important social institution, closely correlated with wealth, occupational prestige, psychological well-being, and health outcomes. Moreover, for children of immigrants – who account for almost one in four school-aged children in the U.S. – it is the primary means through which they become incorporated into American society. This insightful new book explores the educational outcomes of post-1965 immigrants and their children. 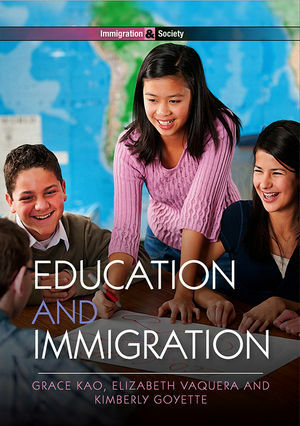 Tracing the historical context and key contemporary scholarship on immigration, the authors examine issues such as structural versus cultural theories of education stratification, the overlap of immigrant status with race and ethnicity, and the role of language in educational outcomes. Throughout, the authors pay attention to the great diversity among immigrants: some arrive with PhDs to work as research professors, while others arrive with a primary school education and no English skills to work as migrant laborers. As immigrants come from an ever-increasing array of races, ethnicities, and national origins, immigrant assimilation is more complex than ever before, and education is central to their adaptation to American society. Shedding light on often misunderstood topics, this book will be invaluable for advanced undergraduate and beginning graduate-level courses in sociology of education, immigration, and race and ethnicity. "In a little more than 200 pages, Education and Immigration covers state-of-the-art knowledge in this field in a clear and structured way that will appeal to students, researchers, and interested readers on both sides of the Atlantic."